The scale should include all the data values and be easily divided into equal intervals. 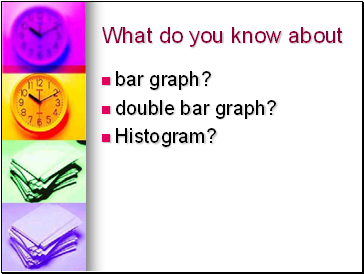 How to interpret a Bar Graph? How many of Mr. Snowden’s students are band members? How many of Mr. Snowden’s students are not band members? 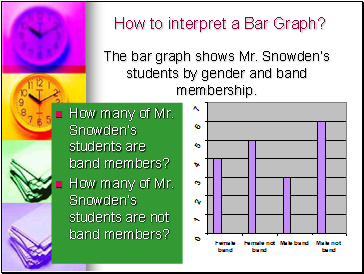 The bar graph shows Mr. Snowden’s students by gender and band membership. 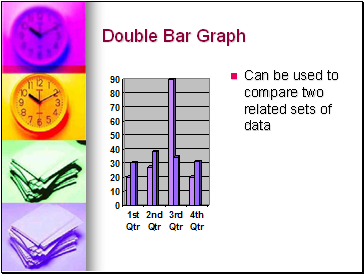 How to make a Double-Bar Graph? 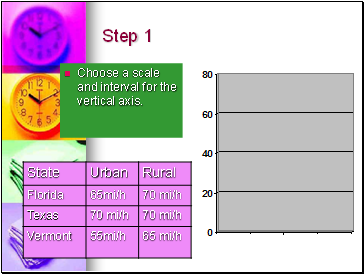 Choose a scale and interval for the vertical axis. 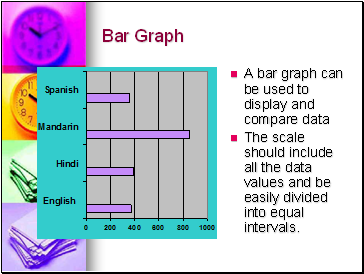 Draw a pair of bars for each country’s data. 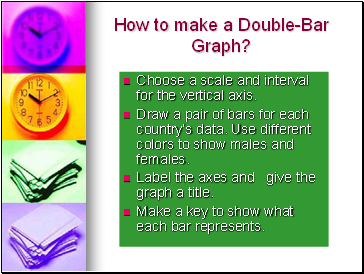 Use different colors to show males and females. 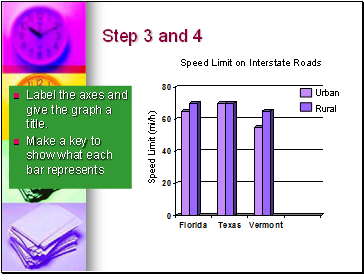 Label the axes and give the graph a title. 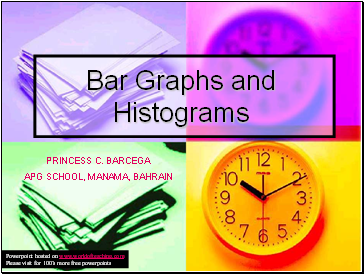 Make a key to show what each bar represents. 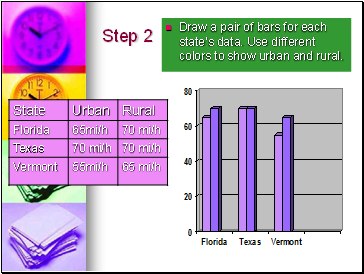 Draw a pair of bars for each state’s data. 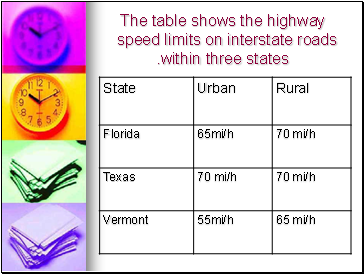 Use different colors to show urban and rural. 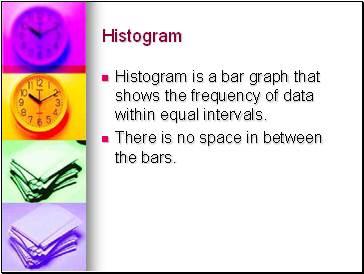 Histogram is a bar graph that shows the frequency of data within equal intervals. There is no space in between the bars. 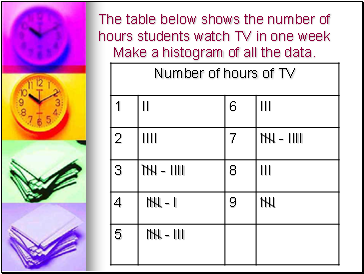 The table below shows the number of hours students watch TV in one week Make a histogram of all the data.